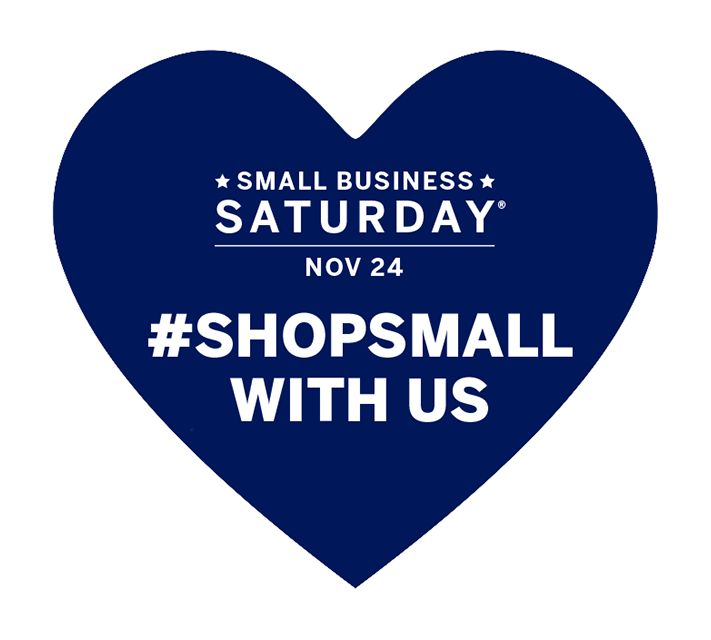 Shop Small Saturday 2018 is November 24th. We are fortunate to have an abundance of small shops to frequent year-round and during the holidays! We asked our agents what their favorite stores to stop in for gifts are to prepare our Saturday plans. The recommendations were abundant! Handworks was suggested by Linda VanEmburgh. 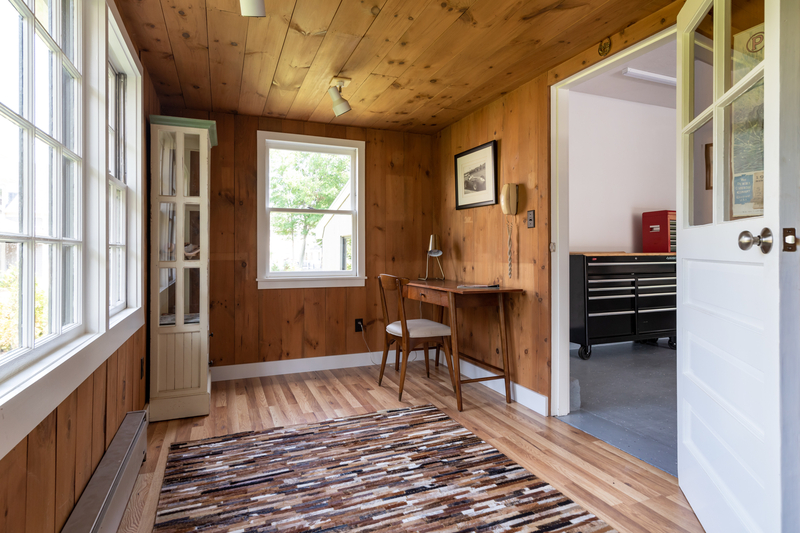 VanEmburgh said, "Handworks in Acton has the most distinctive, artistic gifts." "Favorite holiday small shop… hands down Nestings!" said Anna Travias. A favorite of many, this name popped up with agents and staff alike! 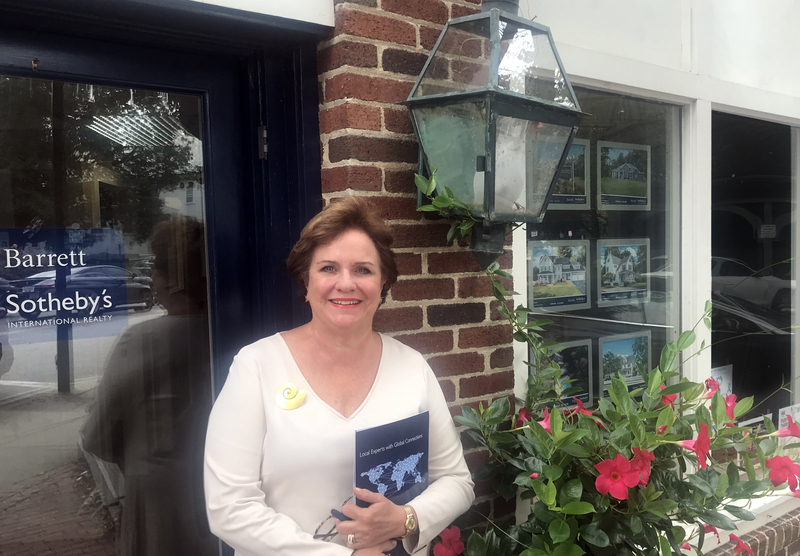 Revolutionary Concord was also a repeated recommendation, mentioned by owner, staff, relocation department, and our agent Nancy Wright. A new addition to the center of Concord, Graham was mentioned by Laurie Cadigan. Sharing a good laugh, Laura McKenna mentioned Priscilla's Candy Store, my favorite local shop for holiday gifts, quality chocolate truffles packaged beautifully, and they make the most gorgeous chocolate Santa Claus. Just don't put them in the stockings when there's a fire! Did that!" Bobbi Tornheim mentioned the Holiday Marketplace of LexArt. Tornheim said, "Over 150 local Artisans sell hand made crafts priced from $5 to $1,200. Jewelry, hand woven clothing items, wooden bowls and boxes, some furniture, some excellent children's toys and puzzles, painting, photography, note cards, wide range of ceramics, sweaters, etc. Much of the work is Gallery Quality." Tornheim also mentioned the location, 130 Waltham Street in Lexington, open November 30th through December 23rd from 10 AM to 5 PM most days. Something Special in Lincoln was noted twice, first by Terese Surrette who said "They have something special for everyone on your list." In Lincoln, Terry Perlmutter mentioned the Old Town Hall Exchange. Although our offices are located in the towns mentioned above, as well as Bedford and Carlisle, they are not the only places we are fortunate to enjoy! In Littleton, Cataldo's came up more than once. "They decorate dozens of trees with themed ornaments, have great stocking stuffers, and fun unique items," said Karen Wallace. Nicolette Mascari also suggested B Happy in Wayland, MA, with great gifts for any home. We hope you'll have the opportunity to visit one of the towns we get to call home during your holiday shopping this year! 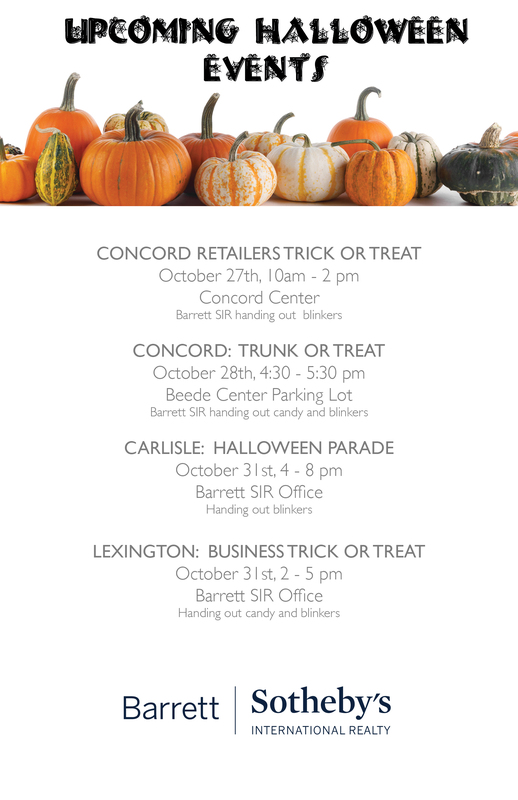 Celebrate Halloween with Barrett | Sotheby's International Realty! Each year we enjoy celebrating Halloween with the community. As in past years, we're excited to distribute treats and blinkers to the kids in our towns, and we hope to see you there. 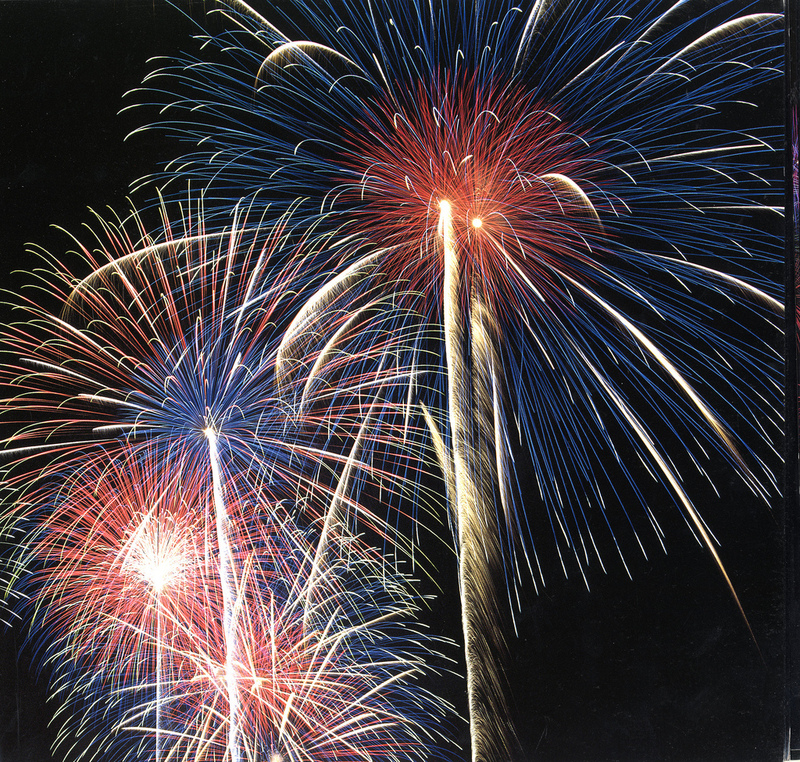 If these are out of your plans, you can also stop by our Acton office at 525 Massachusetts Avenue for a blinker! Decorating as the weather gets cooler is all about seeping in the warmth that remains. New colors emerge, nature presents new elements for us to enjoy, the warmth of our friends and family become even more prevalent, and a throw blanket always helps too! Here are the trends we’re observing this autumn that might help bring some festivity to your daily life. As the leaves change colors, we often get the urge to change things, too. Think warm red, orange, and brown around your home. If you’re not DIY inclined, these are easy to incorporate in accent features. Looking forward to Thanksgiving, pulling natural elements into your dining room table brings the feel of autumn directly to you. Acorns, pinecones, and even scattered branches can draw a rustic element into your décor. 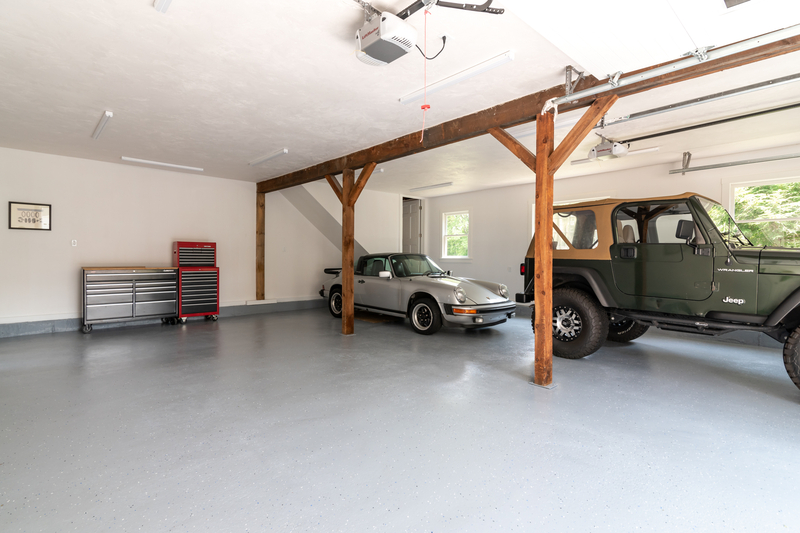 Just be sure to do your research first and preserve your materials so you don’t also add some pests to your home! When it comes to fall, pumpkins are everywhere! We can’t emphasize their influence enough… glass pumpkins, painted pumpkins, pumpkins covered in fabric or washi tape, natural pumpkins, the list goes on in the décor category. Not only is this a simple add in to your space, but it also leaves opportunity for you to engage in the creation of your aesthetic. As a bonus for those who like to mix it up each year, if you purchase the right kind, these decorative pieces are even compostable! Taking a note from the farmhouse style dried stalks, hay, and wreathes are a great addition to fall decorations that bring the outdoors in yet again. 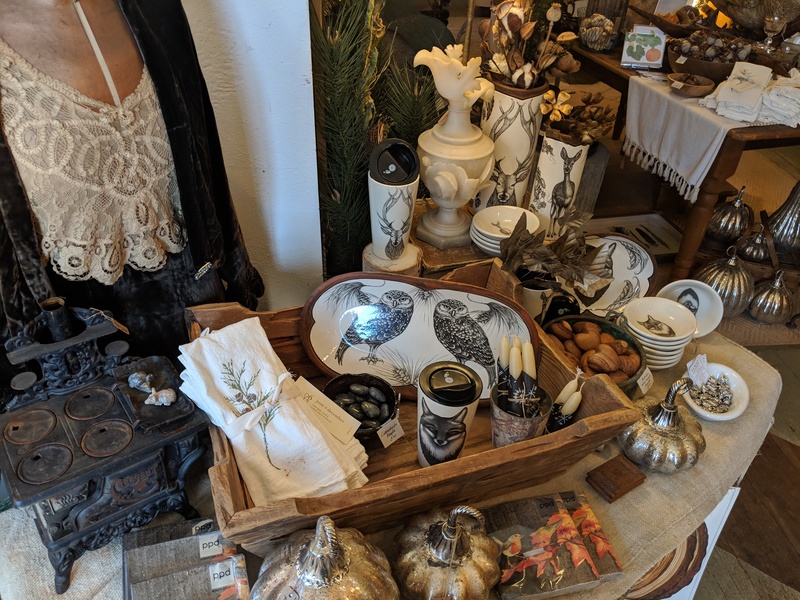 Antiques and rustic pieces are great swaps for daily use or as accent pieces and provide a nice day trip to second hand, consignment, and antique shops to discover your own personal style. Incorporate some marigolds and mums and you’re ready for a fall festival in your own home! A local favorite for décor and gifts in Concord, MA, called Nestings is featured in the image above. For more, visit our Fall Decorations board on Pinterest. Think less is more when it comes to staging your home this fall. You want buyers to focus on your home and its best features, so don’t use too many fall decorations. A couple vases of fall foliage or bowls of seasonal fruit will be enough. Here are some more tips! Rake up leaves and patch any brown spots in the grass to entice buyers to want to look inside your home. Pressure wash the exterior and consider repainting the front door. Try adding a fresh coat of paint to your interior walls in warm neutral colors like caramel or cream. Use richer fall colors for any accent walls. Toss a couple of red or orange throw pillows on the couch. Open up your curtains and blinds to let in natural light. Since the fall days are shorter, add extra lamps to any dark rooms or corners to brighten them up. If you have a fireplace, make sure it’s the focal point of the room. A warm and cozy fireplace is a great feature to highlight in the fall. Rearrange your furniture around the fireplace and accentuate the mantel with a few nice accessories. 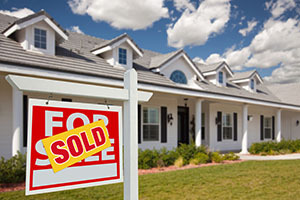 If you’re thinking about selling your home in the Greater Boston area, contact Barrett Sotheby’s International Realty. We can help! 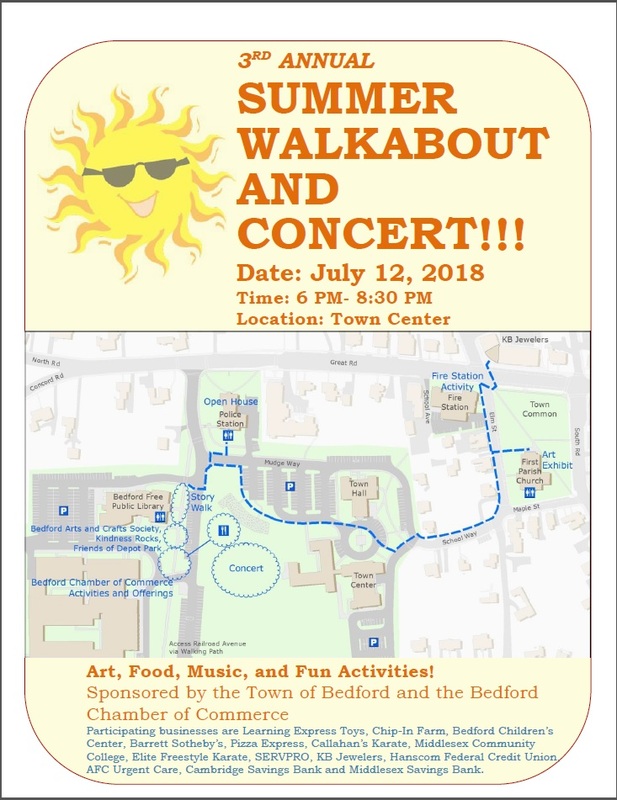 This Thursday, July 12th is the third annual Free Summer Walkabout and Concert in Bedford, Massachusetts! This year the popular Party Band will play the concert, with the walkabout beginning at 6PM and running until 8:30PM. The event is sponsored by the Bedford Chamber of Commerce alongside Recreation, Economic Development, and Healthy Bedford. 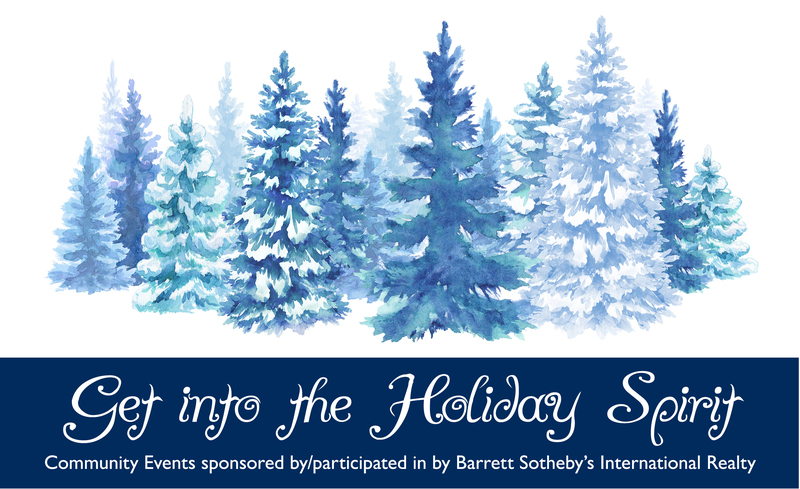 Barrett | Sotheby’s International Realty is a Bedford Chamber of Commerce partner and will provide the DIY tie-dye! Take a look at the map for information on the full location of the event, and visit the Bedford, MA site to learn about all of the participating companies.